In the 1960's film 'The Graduate,' Dustin Hoffman's character, a recent college graduate, was advised one word, "plastics." Perhaps those words of wisdom should have included, "recycling." 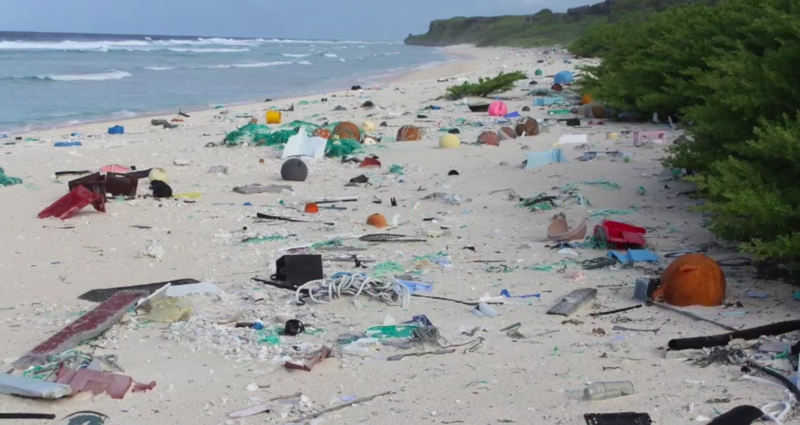 Scientists recently found that the beaches along Henderson Island, which is one of the world's most remote, are littered with over 37 million bits of plastic. New Scientist notes that the "island is an uninhabited, [3.1-mile-wide] speck of land halfway between Australia and South America." Due to its location near a significant ocean current in the South Pacific, it is on the receiving end of debris coming from South America and fishing boats. A press release about the discovery notes that scientists "found the beaches littered by up to 671 items per square metre, the highest density ever recorded." 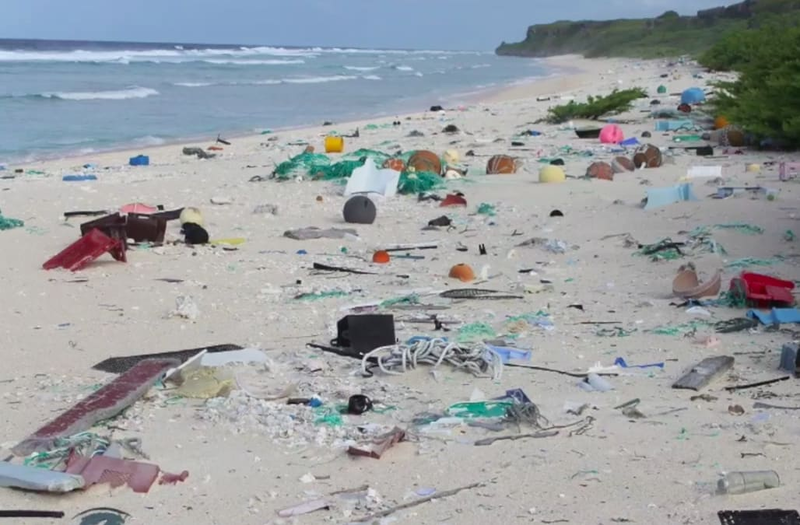 The study's lead researcher, Dr. Jennifer Lavers of the Institute for Marine and Antarctic Studies, University of Tasmania, said of the discovery, "What's happened on Henderson Island shows there's no escaping plastic pollution even in the most distant parts of our oceans." She further commented, "Far from being the pristine 'deserted island' that people might imagine of such a remote place, Henderson Island is a shocking but typical example of how plastic debris is affecting the environment on a global scale." It's estimated that every year, roughly 300 million tons of plastic is not recycled. Pieces that end up in the ocean go on to live long lives and leave lasting impact on the bodies of water and the animals that occupy and depend upon them. Dr. Lavers noted, "Plastic debris is an entanglement and ingestion hazard for many species, creates a physical barrier on beaches to animals such as sea turtles, and lowers the diversity of shoreline invertebrates."